This cake will be garnished on top with fresh cream and strawberry syrup. The designing using all the toppings may vary a little from the image shown. When love is on the mind and you are in search for a heart winning cake to surprise the special one, this option is for you. 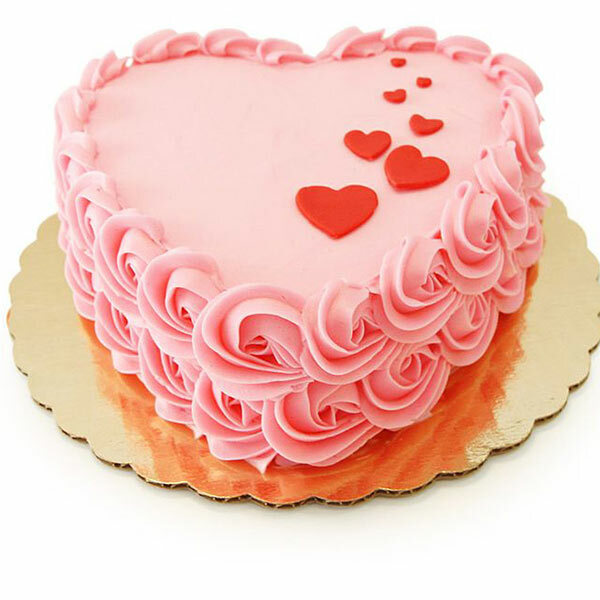 It’s a wonderful and quite cute Heart Shape Cake that is designed beautifully with creamy flowers and heart shape moulds. Its a strawberry Cake baked in heart shape to become a heart winning gift for someone close to heart. Hurry and order it right here! Along with creamy topping and bread base the key ingredients of this cake are flour, powdered sugar, baking powder, eggs, strawberry and more. You can also opt for eggless version of this cake to enjoy during special moments of the year.